Chelsea is the Program Director of the 300 hour Foundations of Yoga Therapy training program at the Vancouver School of Yoga, and is also on the faculty for the 200 and 240 hour Yoga Teacher Training programs. 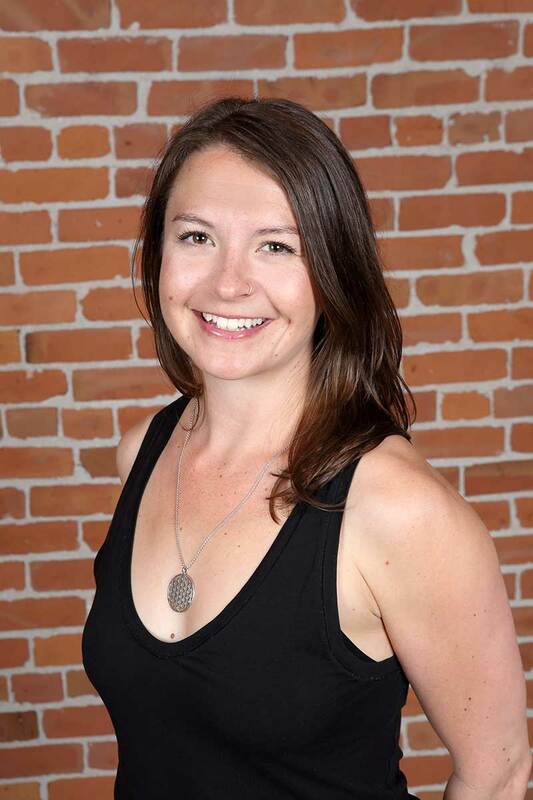 She offers one-on-one Yoga Therapy at Chelsea Lee Yoga Therapy, in Squamish BC, and at Diane Lee & Associates Physiotherapy clinic, in South Surrey, and teaches therapeutic yoga classes at Akasha Studio for Creative Learning. Additionally, she is the Director of Yoga Education at RAD Roller, a myofascial release product company based in Denver, CO. Growing up as a contemporary dancer, Chelsea has always been drawn to the sacredness of movement. Her yoga journey began in 2006 when she started going to classes to heal her body from a dance-related hip injury. However, she quickly discovered that the practice runs much deeper than the physical postures. Yoga helped Chelsea heal both physically and emotionally, while developing a more intimate connection not only to herself but also to others, the Earth and life itself. Yoga has taught her how to breathe more fully, move more freely and be empowered to make meaningful change within her life. Chelsea completed a Bachelor of Arts degree, followed by a Master of Management, from the University of British Columbia. It didn’t take long working at a corporate job to realize that this was not the path for her. She decided to follow her passion for movement and helping others, leading her to complete her 200-hour Yoga Teacher Training with Rachel Scott (YYoga). Her dedication to, and passion for, helping others along their healing journey led her to Pacific Rim College, in Victoria B.C., where she completed her 500-hour Yoga Teacher Training, as well as her Diploma of Yoga Therapy. Chelsea believes in Yoga’s capacity to empower and transform, and loves helping others hold a sense of playful curiosity as they experience this transformation with grace and courage. As a lover of life and adventure, Chelsea has an insatiable case of wanderlust; however, the mountains of Squamish are home. If she’s not on her mat, you’ll find her exploring the woods or cruising down the slopes, surrounded by friends and family. Chelsea strives to live an authentic, kind and playful life and believes that no day is complete without a little dancing and laughing. Chelsea holds deep gratitude for her teachers’ unceasing wisdom, inspiration and support: Rachel Scott, Nikki Manzie, Holly Herman, and Diane Lee, as well as every peer and student she has shared space with.